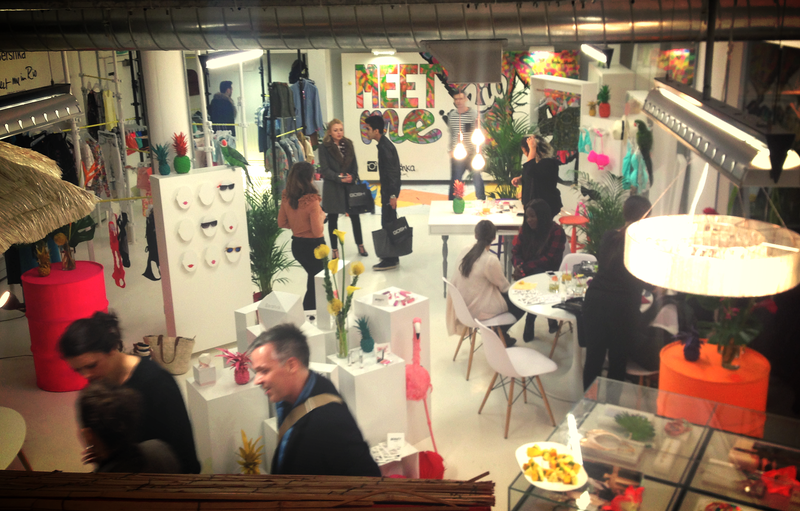 Bershka is the younger sibling of Zara and Pull and Bear (all owned by Inditex), so you may have a spot of déjà vu when you walk through the store as they all have the Spanish look. 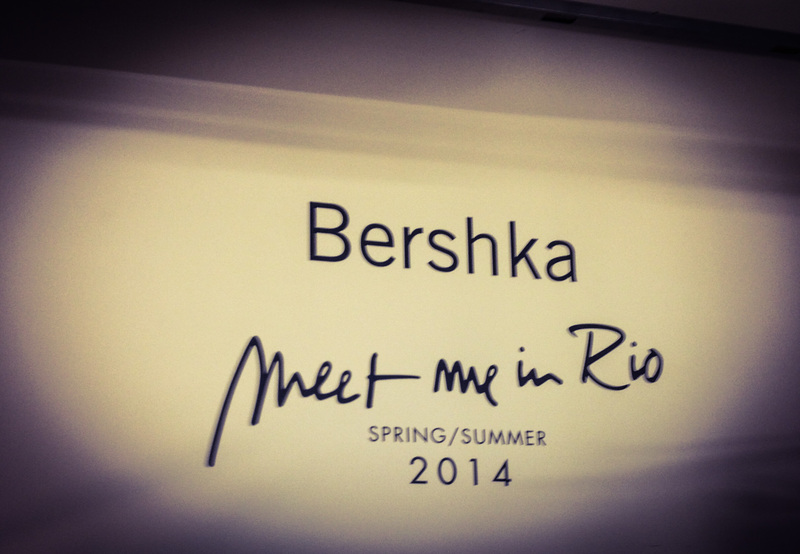 As you probably guessed the Spring/Summer 2014 campaign ‘Meet Me In Rio’ is inspired by Rio de Janeiro, you will begin to notice most companies embracing this theme due to the upcoming World Cup (held in Rio). However, the beauty of Bershka is that they adapt quickly to the latest trends and regularly refresh their products range. I loved the exotic colours in the collection and I was especially drawn to a fuchsia lipstick, the Bershka Showstopper Lipstick (£4.99). One of the makeup girls applied it to my lips and I am now desperate to get my hands on it – the photo below doesn’t show off the correct tone which is more on the purple end of the spectrum. It’s functional too! This lipgloss includes a light in the lid which comes on when you unscrew it. 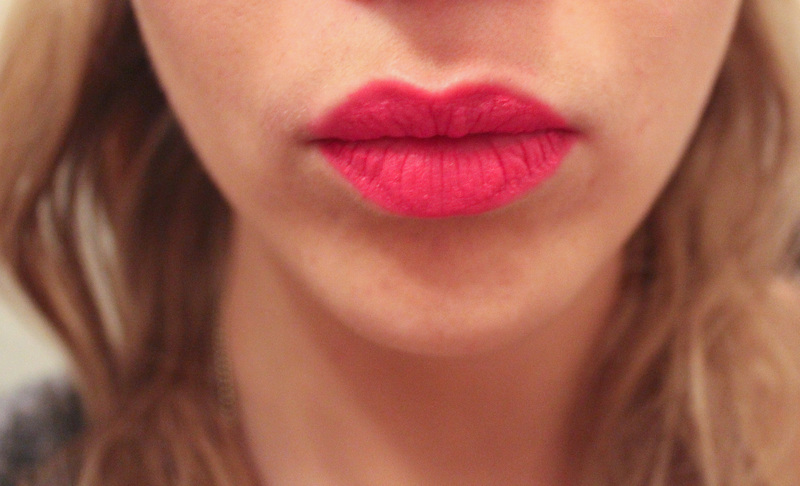 I have been using the New CID lipgloss for years which does the same thing, it’s fantastic! 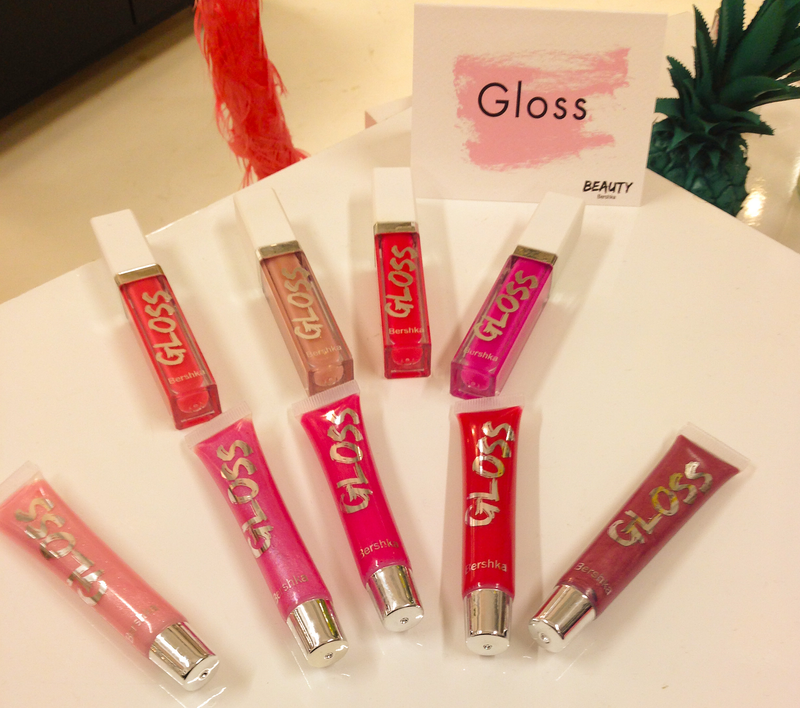 These glosses also include a slim mirror on the side of the base so you can apply where ever you are. This doubles up as the perfect handbag key finder too. The nail collection currently includes both bold and pastel colours, but as mentioned it will be updated every month so it’s easy to stay up to date with the latest nail trends. I tried out the Bershka Fever nail polish (3.99), a solid red which is the perfect polish to add some glamour to any outfit. 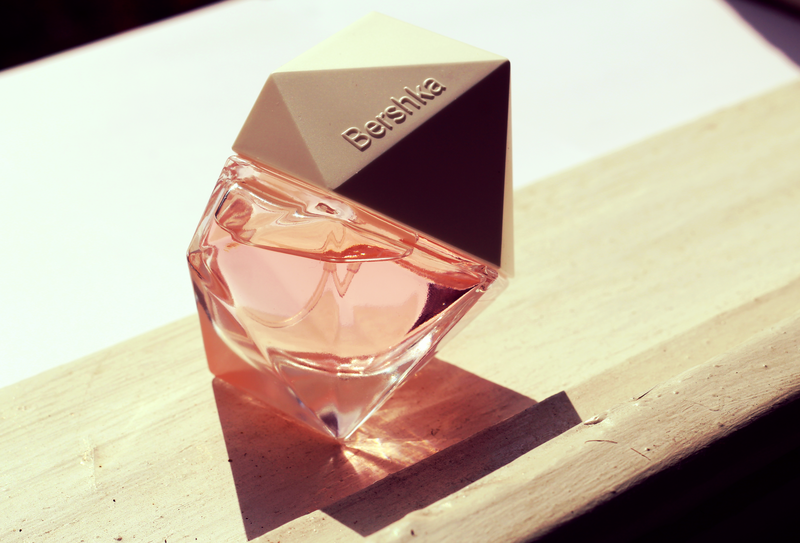 In addition to the nail polish and lip collection, Bershka is also introducing it’s first fragrance range. This consists of four ‘flirty’ scents and I got to take home the signature fragrance simply named ‘Bershka’ (£14.99). I love the light floral perfume that is great for the spring months, the only downside is that it does fade quite quickly but perhaps I need to spray more on next time. 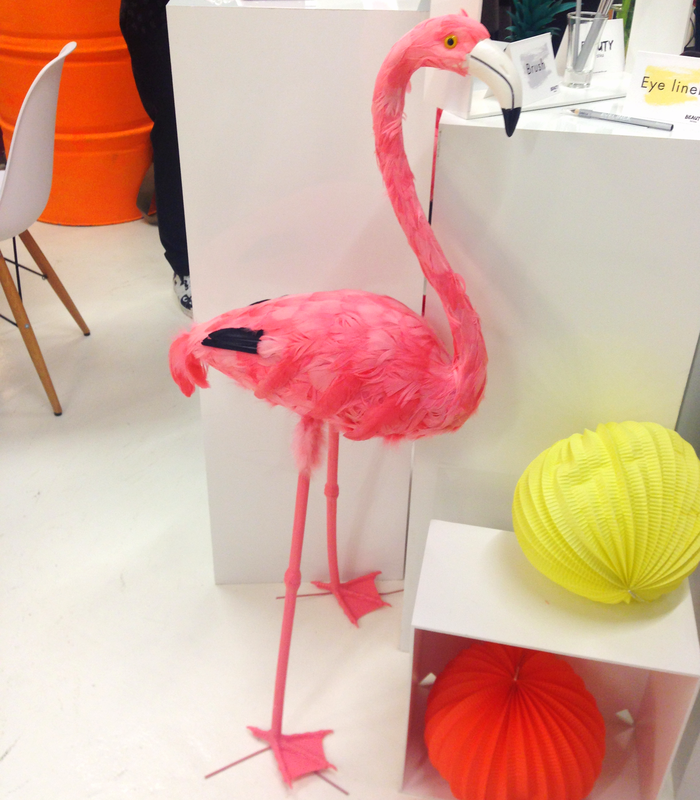 The geometric shape is really unique and will look great on any dressing table. 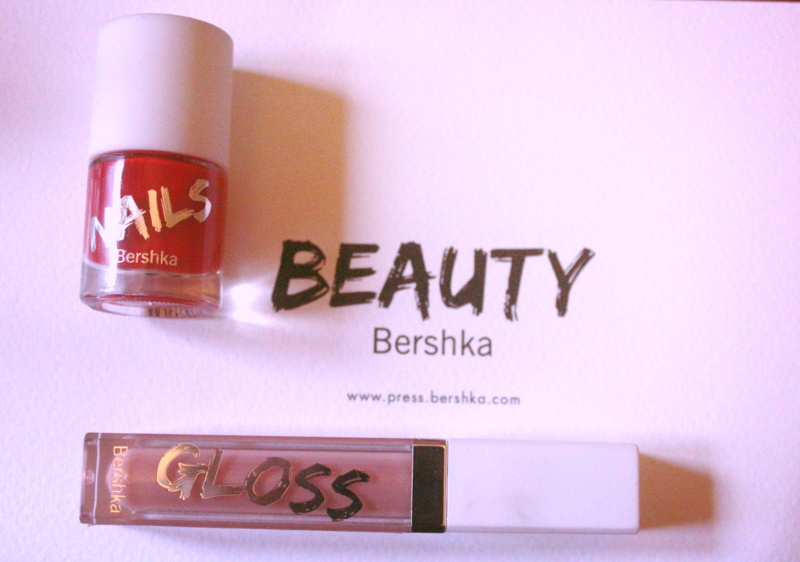 Which Bershka beauty product do you like the look of? That light on the gloss is such an amazing idea!